“Celebrating the bold spirit of exploration embodied by the Enterprise and its crew, Ten-Forward Vodka is made from choice American Grain, carefully distilled 6 times, and delivered via terrestrial and interstellar transport for the enjoyment of discerning adventurers on planet Earth, aboard the Starship Enterprise-D, and across the galaxy” explains Ten-Forward Vodka’s website. 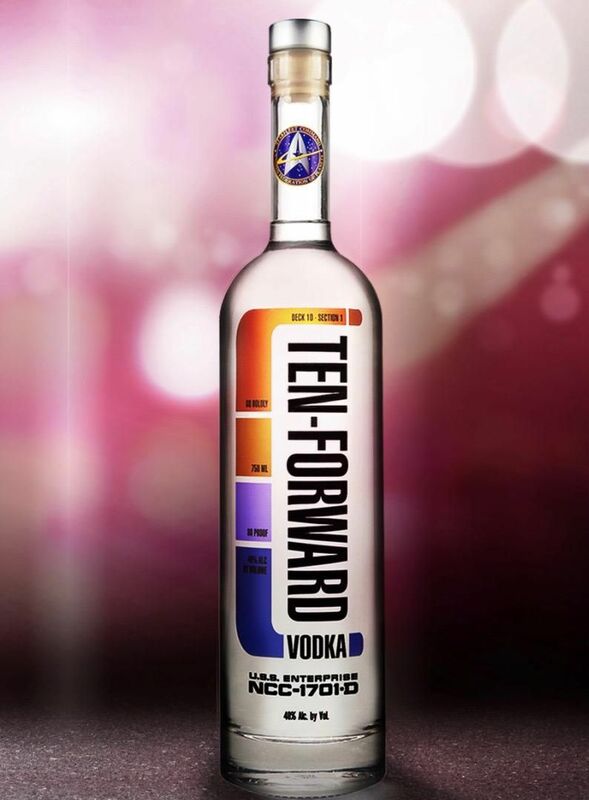 The launch of Ten-Forward Vodka was announced at 2018’s Comic-Con, inspired by the Ten Forward lounge on the Starship Enterprise. The vodka is a partnership between Silver Screen Bottling and CBS Consumer products. In terms of production, Ten-Forward vodka is distilled six times from American grain, and filtered trough hardwood charcoal. Before bottling, a small batch of the alcohol is sent out into the edge of the earth’s atmosphere using a high-altitude balloon, this is then blended with the rest of the product. Ten-Forward suggests this process ensures each bottle is from ‘space’. We could also not find any information on distillery location or details, most likely in the USA with a large third party producer. It’s not a product likely define itself as craft anytime soon. Although no tasting notes are supplied, Ten-Forward explains the liquid is “soft and delicate enough to drink straight or mixed into your favourite cocktail.” A sentence which explains very little to anyone truly interested in taste.